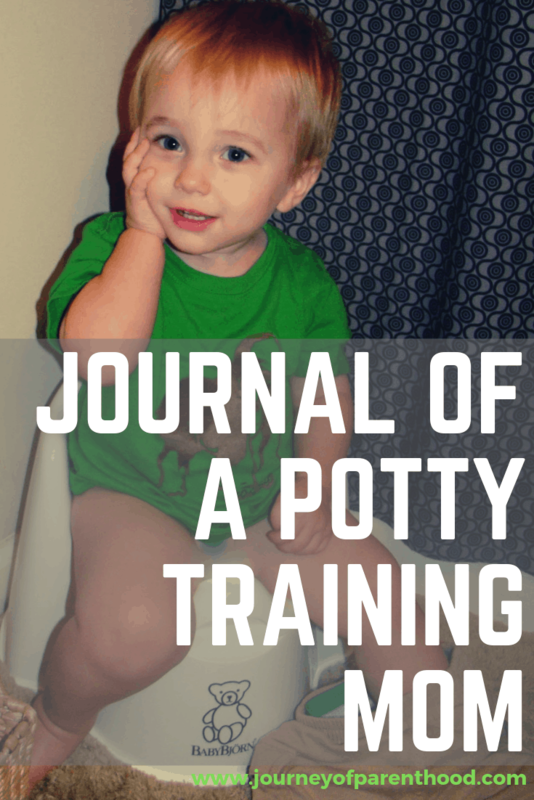 I know potty training is TOUGH STUFF and I’m right there with you moms who have been struggling with it. It seems like it’s not just time-consuming it’s life-consuming. Whoever said it’s easier than diapers was wrong! Cheaper, but not easier!!! Oct 29th: The night he first used the potty, which I’ve already blogged about here, but I failed to mention that he actually peed on Levi when he went on the potty!!! Those little boy privates are tough to control!!! Oct 30th: First day of potty use. He was as excited as you’d picture a kid to be on Christmas morning when he woke up. Since he had used the potty for the first time the night before I think he went to bed thinking about it and couldn’t wait to use the potty again when he woke up. We asked if he wanted to use the potty and he was pumped nodding his head up and down vigorously. When we were at Walmart buying his big boy pants he did great using the potty (other than his poop getting ALL over me b/c he wasn’t fully finished when I took him off) and actually never had a single poop in his pants the whole day! He only had one tee-tee accident. He even did great staying dry and clean at the Halloween festivities! Oct 31st: Had his first solid poop in the potty that morning and it hurt him some. He had some teething issues and runny poop the days prior. He had a MEGA bad diaper rash (enough so that I got him a prescription from the dr for it!). Like the worst, he’s EVER had and I read up on it and found out that LOTS of kids get them when they first stop wearing diapers because their butts get so used to having the chemicals from the diapers against it that it irritates them not to have it. Strange huh? I went to Sunday school class with him that morning at church as he was using the potty every 30 min and I didn’t want him to have an accident in class. He stayed dry the whole time throughout church. I decided that day to switch from m&ms as his treat to gummy bears and I’m glad I made that switch. He had no accidents all day at all and even stayed dry at dinner for my birthday celebration and pooped in the potty with Daddy when we ran into Lowe’s for some house stuff. From then on it only got easier. He RARELY had any accidents. And if he did it was really only because I wasn’t paying close enough attention to him or taking him often enough. Ever so often I’d test it to see if he’d ask me to go but that didn’t happen for the first time until Nov 3rd. He stood up and grabbed himself (didn’t actually say anything) so I ran him to the potty and he pooped! He also stayed dry at his nap that day which is a big step in the right direction to learning to hold it for long periods of time. That next morning (11/4) he woke up DRY from the night! He had a HUGE amount of tee-tee in the potty and after eating breakfast he even grabbed himself again and I ran him in the bathroom where he pooped! The cutest thing happened on Nov 8th. I was cleaning up from his lunch and I didn’t hear anything (silence is never a good thing with a toddler!) so I started calling for him and when I rounded the corner of the kitchen I saw his little leg. I went into the bathroom and he had gone in there by himself and sat on his potty in the dark! He went tee-tee but unfortunately, he doesn’t know how to pull down his pants so he technically went all over himself instead of in the potty but it was a VERY exciting moment regardless! I started out taking him to the potty every 30 min, then I went up to an hour and now I will let him wait 60-90 min until I take him to the potty. He has no issues holding it at Sunday school, running a quick errand, throughout church, or even through a movie (more on that later!). I still put him in a diaper for naps and night time. I’m not ready to attempt that yet! I can just see the potty becoming a reason to get out of bed and I’m STRICT about my do-not-get-out-of-bed rule. I never go in the room when he’s awake until it’s time to get him up, even if he’s crying. So I can just envision him saying he has to go potty and then what would I do? It’d be a constant battle that I’m just not up to facing yet. I may even wait until he’s in a big boy bed to really attempt nap/night training. He does wake up from the majority of his naps dry and I have used the same diaper for DAYS as he will even wake up dry from night on occasion as well! I do not really use the gummy bears anymore. He doesn’t need any treat at this point and he seems to have an understanding that going to the potty isn’t optional. We use the potty, dump it in the toilet, flush toilet, pull up pants, and wash hands. He will sign “all done” when he’s done using potty and I WILL wipe him off. I know a boy you shouldn’t have to wipe but if I don’t then a little bit of the pee will stay on him and it’ll make me think he’s wet his pants (b/c I feel his underwear a million times a day checking for dryness). Kye understands what “dry and clean” means and he will check himself when I ask him. He will also let me know if he has an accident. When accidents occur I don’t scold him but I do go on and on about how yucky it is (and he joins in saying “yuck) and I have him feel the wetness with his hand and also smell it. Then when I put on the new underwear I have him smell them and feel how dry they are and I talk about how he’s going to be a big boy and keep that pair dry and clean. He is not 100% reliable in telling me he has to go potty. He does do it often, but not often enough where I trust him. He will say “tee-tee” when he has to go and we run like crazy to get him to a potty so he can go and I always shower him with praise when he does that! Overall, I feel confident in saying he’s potty trained. I feel comfortable doing everything we normally do and at this point, if it warms up enough, I’d even feel okay taking him on walks. I am SO proud of him for taking this big step and it’s neat having him achieve a milestone early! They are ALWAYS shocked that he’s doing it and it’s kinda fun to get to brag a bit on my son, I mean he gets 100% of the credit for all of this!!! He looks so young to have mastered this! That is awesome! Spanking a 19 month old? Not going to get him out of his bed even though he is crying? Wow. Parents of the year. Our little boy is 19 months and i’d like to get him toilet trained before our next little one arrives in 18 weeks time – this has given me so many tips and the encouragement to give it a go. Thanks!